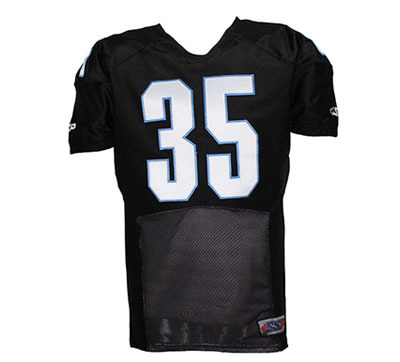 Our professional football jerseys offer very high quality to resist serious impact. Tailored for linesmen, quarterbacks and receivers. 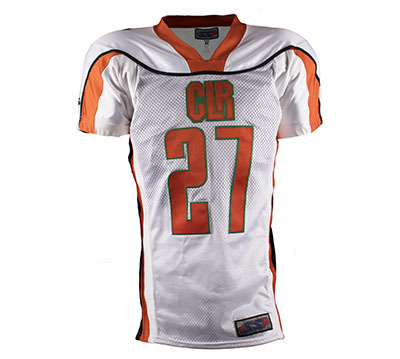 Our light and resistant jerseys are designed for amateur and touch football players. Get the right look and stand out from the rest! 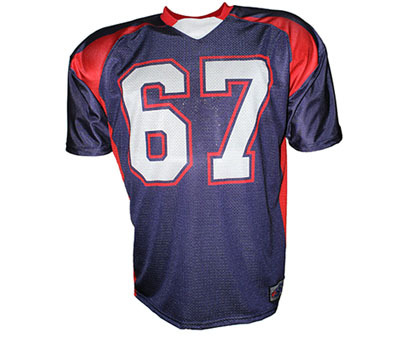 This receiver's jersey is designed for optional air flow during practices. A durable product that won't let you down. 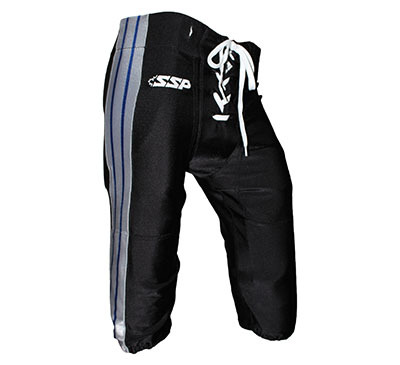 These highly durable pants hug the player's body and are designed for professional, semi-professional and amateur players. 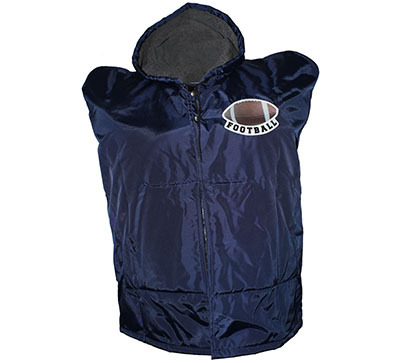 Stay warm with this fleece-lined waterproof vest. Perfect for cold weather! 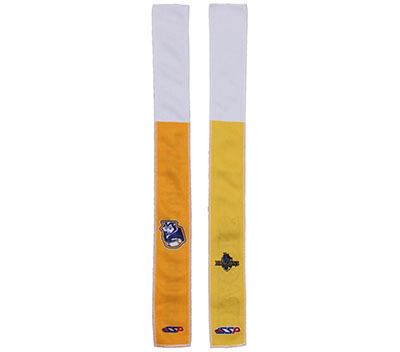 Customize your touch football flags with your team's colours!